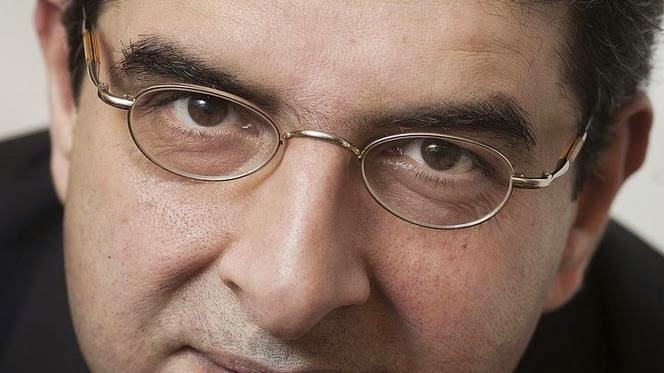 The Iranian-Dutch professor of law and critic of political Islam, Afshin Ellian (Wiki) has posted an interesting article, suggesting a way how the intelligence services could destroy the Caliphate. The secret to its destruction lies in the history of Islam itself. Afshin Ellian has a brilliant idea! The Islamic State has adopted a entirely different theological dogma than its predecessors. Before the Islamic State declared the Caliphate, theological teachings were rooted in the dogmata of Ibn Taymiyyah (1263-1328) (source)). Let's delve into the history of Islam for a moment. The first four Caliphs (632-661) were members of Mohammed's tribe, the Quraish. They were succeeded by two dynasties, the Umayyads (661-750) and the Abbasids (749-1258), also of the Quraish. There was thus political and theological continuity for over six centuries. After the Caliphate of Abbasids was brought down by the Mongols in 1258, chaos and mayhem reigned. Muslims asked themselves, was this Allah's punishment? A period of confusion and division ensued. The unified, Islamic World in effect no longer existed. So, what to do without a body politic? How were Allah's Laws going to be applied? Existential fear set in. The Prophet had established, maintained and expanded his universal state by force and conquest. The unitary state was the sole experience in the history of Islam thus far. Without the political order Islam was no longer Islam. The Ummah is the social order, the faith, the body politic and the sacred teachings of Mohammed, one universal space ruled by a worldly leader. The establishment of a state (Imara) is a religious duty that brings us closer to Allah; It is the most excellent way to come closer to Allah, says Ibn Taymiyyah. An Islamic state without sharia is not a legitimate state. Note that Ibn Taymiyyah uses the word 'Imara', instead of 'Caliphate'. The word Imara can be translated as a state, or as a monarchy. According to Ibn Taymiyyah the application of Allah's laws by an Imara will unite the Ummah in the Sharia. If a number of Imaras at the same time happen to apply the Sharia as ordered by Allah, a universal, Islamic space will ensue despite of them being pluriform states in other aspects. The orphaned Ummah will no longer be without a home. This reformation in dogma had an enormous influence on the Iranian Imam Khomeini when he developed his political theology. Al Qaeda also adheres to this theory. As does Mullah Omar, the Taliban leader of the Islamic Imarat of Afghanistan. The idea was to turn all Islamic countries into Imaras ruled by local Emirs; they would be united in Jihad against the Dar al-Kufr, the House of the Infidels, the West and Israel through the politics of Sharia. That would bring back continuity in the Islamic world. With the establishment of a Caliphate and the Declaration made by Caliph Al Baghdadi the Islamic State breaks with the political theology of Ibn Taymiyyah. This is why Islamic countries fear the Islamic State so much. The Caliph is aiming at their destruction. If the intelligence services comprehend this analysis they would understand how they can destroy this gang: they can make them destroy eachother by cultivating the sense of chaos and discontinuity. On Monday we'll answer the question why Al Baghdadi has chosen the Caliphate, instead of the Imara.